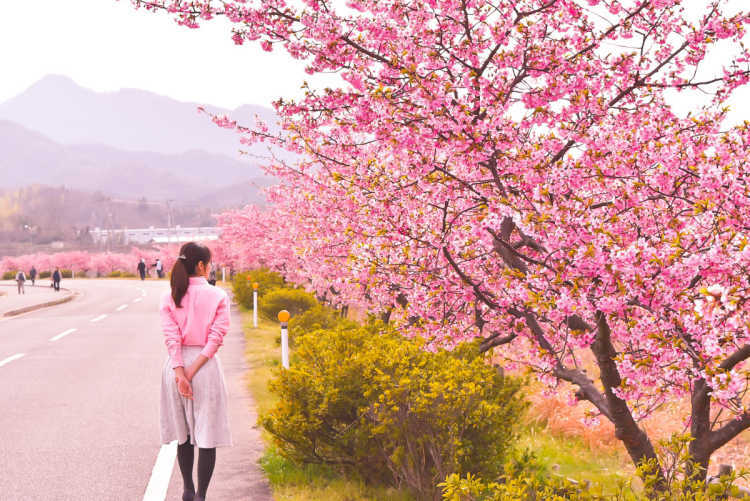 Along the Minato River in Higashi Kagawa City, you can see as long as 350 meters row of Kawazu cherry blossom trees. The world of deep pink that make you feel spring earlier than other cherry blossoms, is must-visit!◎The best season is the mid of May. Access: 5min by car from Shirotori Ouchi IC, parking area is available at dry riverbed.